Fish for Kids is a community-based organization designed to show children the positive effects of fishing and the outdoors. We introduce children to a sport that teaches them patience and determination and brings families together. Our mission is to give children the knowledge and tools to continue fishing in the future in order to build lifetime memories. “Give a man a fish and feed him for a day, teach a man to fish and feed him for a lifetime”. Fish for Kids holds free fishing events for kids every year during the summer. Events over the past 15 years have been in Fond du Lac, Oshkosh, De Pere, and Green Bay. Fish for Kids holds free fishing events for kids every year during the summer. Events over the past 16 years have been in Fond du Lac, Oshkosh, De Pere, and Green Bay. Kids will learn the basics of fishing, have fun with kids their own age, and walk away with free fishing gear! 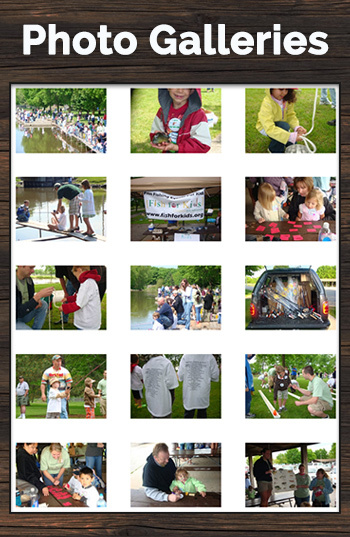 Fish for Kids is also a fun family event since parents are encouraged to participate with the kids. Fish for Kids is an official 501c(3) organization through GOEBEL Family Foundation Inc (Tax ID# 47-3430983). CLICK HERE TO WATCH THE FISH FOR KIDS VIDEO ON YOUTUBE!! A big thanks to one of our sponsors, GOEBEL Insurance & Financial Inc, for helping Fish for Kids since it started 15 years ago!